Keep your furry little friend warm and comfortable on those cold winter nights with this SnoJam Dog Fleece Bodysuit By Ultra Paws in the Buffalo Dog pattern in Grey and Red! 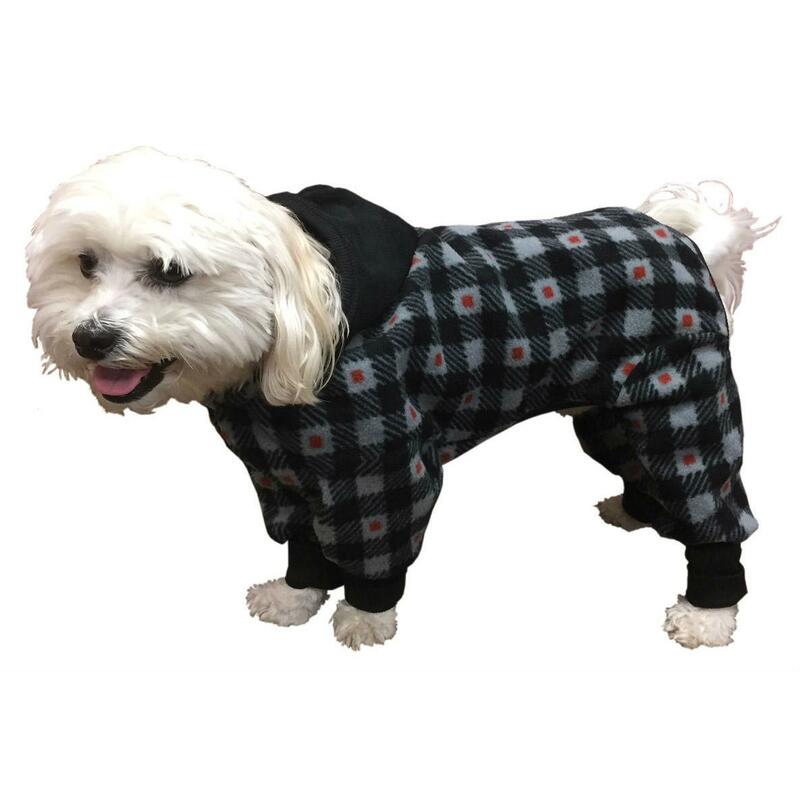 The SnoJam Dog Fleece Bodysuit in the Grey and Red Buffalo Dog pattern provides your pup with full body comfort as well as warmth from the soft polyester fleece material. Comes with a small opening on the back to easily attach a leash. The fleece hood has a simple snap-on, snap-off feature. The extra-long jersey cuffs can be extended for pups with longer legs, or folded up for pups with shorter legs. This fun fleece is the perfect winter gift for any furry friend big or small!